for the 1st time, IRAQ Cyber Security will run in 2019. The competition is co-organised by CyberTalents. 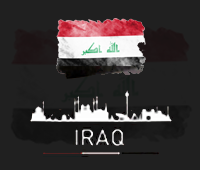 We are working with our partners to discover the best Iraqi team to compete in the Arab Regional CTF that will be held in Egypt on 22 September 2019. Rules concerning the platform are included: Sharing the flags between different teams is prohibited. Brute Force attacks on the challenges submission portal or challenges links are not allowed. Any attack against the site or the hosted servers will be observed and the player will be banned from participating in the CTF immediately. Organizers have the permission to disqualify teams for any unethical behavior or any trials to interrupt the CTF. The winning team of Iraq Cyber Security Competition CTF will travel to Egypt ( fully covered flights and accommodation ) to represent Iraq at Arab Regional Cyber Security Competition CTF that will be held on 22nd Of September 2019. The prizes sponsored by (Zain Iraq & Step team conference).